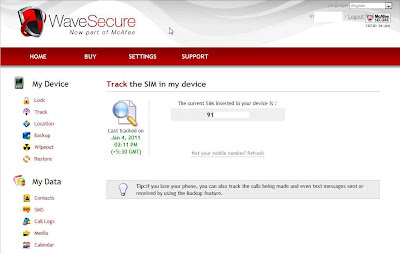 McAfee WaveSecure is a premium Anti-Theft and Backup application for Nokia N8 and other Symbian^3 devices. 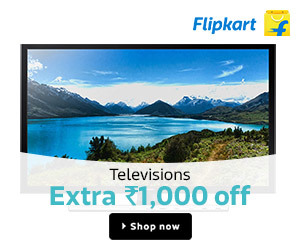 It allows you to remote track your phone via GPS and also wipe all your phone data remotely. 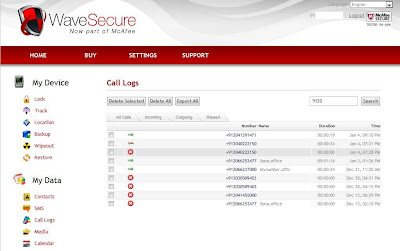 The main advantage of this application is a full fledged web interface that allows you to backup your phone's SMS, Call Logs, Calendar and Contacts in the event of the phone getting stolen. 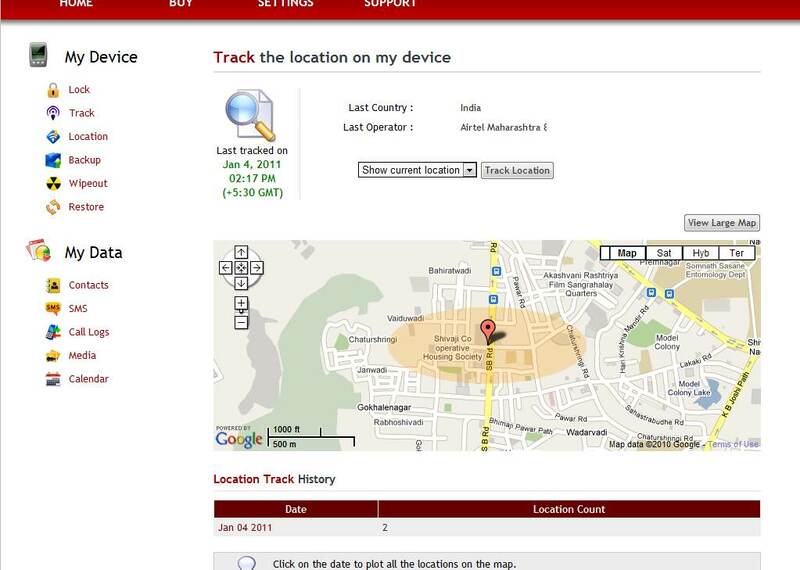 The web interface also allows you to lock and locate your phone's new Sim and GPS location on Google Maps. 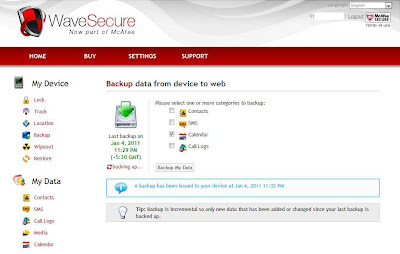 The application can be instructed to backup phone's data which includes images/videos on a regular basis and restore it later. 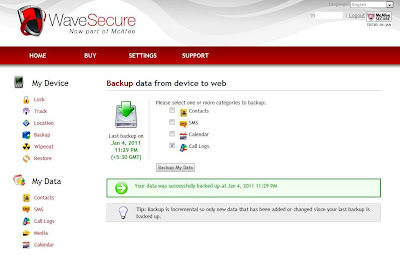 You can restore all the data remotely as well. 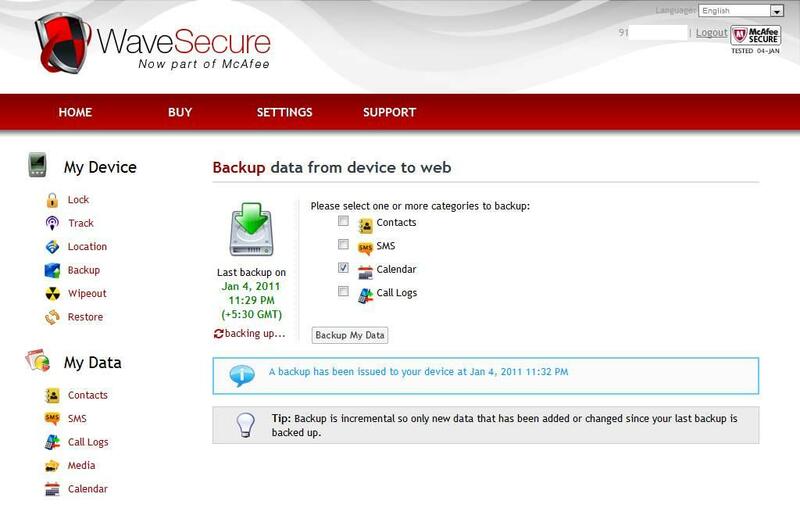 Thus, McAfee WaveSecure acts as a backup application as well. It has a limited SMS command support. 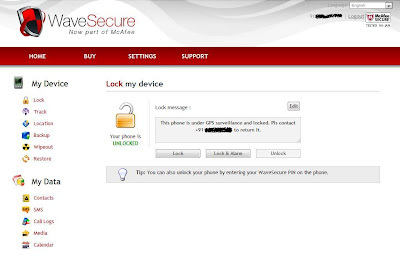 LOCK, LOCATE, WIPE and CUSTOMIZE LOCK SCREEN are the only SMS supported commands that can be sent to the stolen phone. 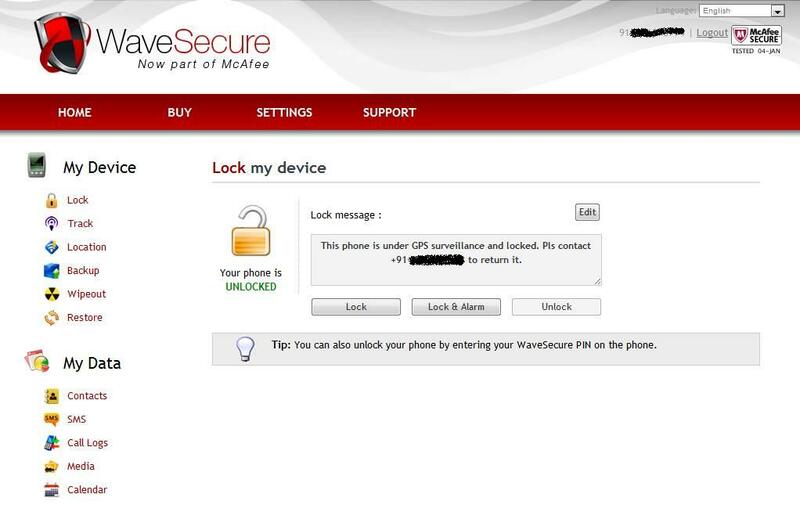 A typical SMS command to lock the phone looks like this 'Secure Lock <PASS>' where PASS is the PIN used to access your WaveSecure account. 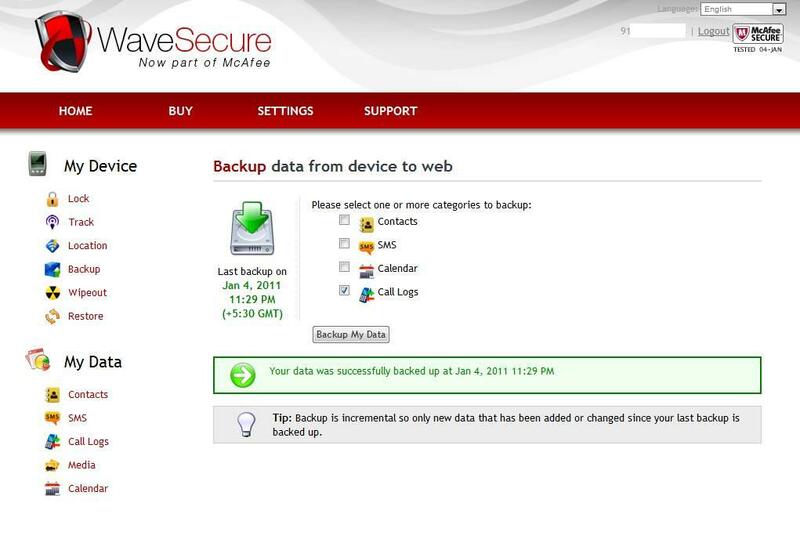 Also, the notification number in case a phone gets stolen is limited to one, however, this number can be edited online from the web interface. 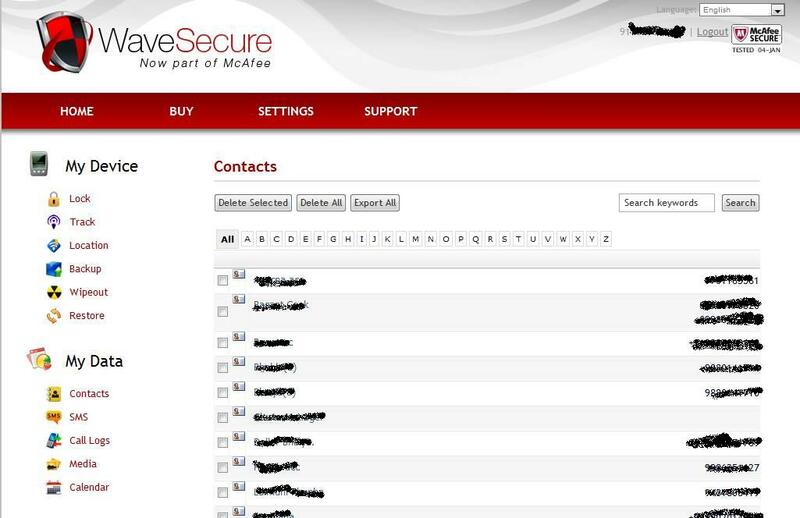 All of the phone data that gets uploaded to the WaveSecure server can be viewed online. 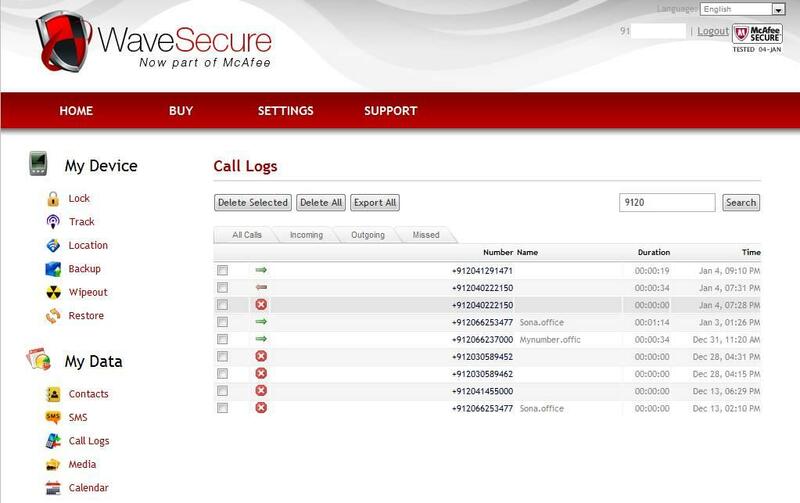 You can even export the entire phonebook in the form of a CSV file which is really useful. 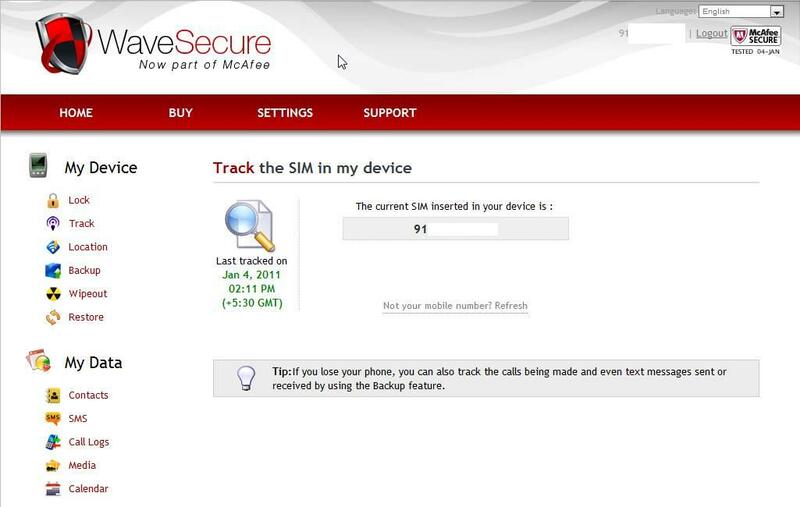 WaveSecure also keeps track of all the activities on your phone which includes the Sim cards used in the phone and the number of times you restart your phone. 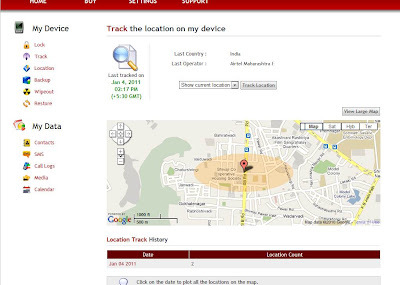 There is a regular location tracking of your phone which is associated with the restart and Sim change events. However, you also have the option of continuous location tracking on your phone but this may drain the battery alot. WaveSecure is offered free for life in few countries with the Nokia phone but there is a limited list of such devices. 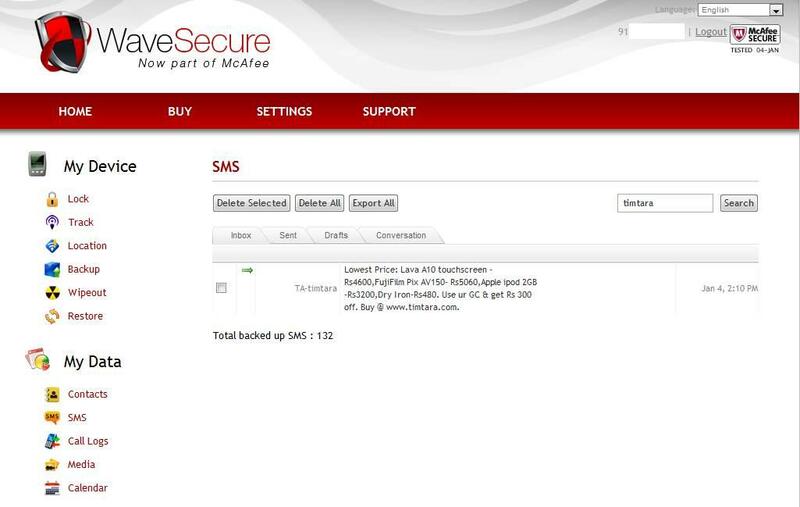 One of the popular devices that gets McAfee Secure free for life in India is Nokia 5800. 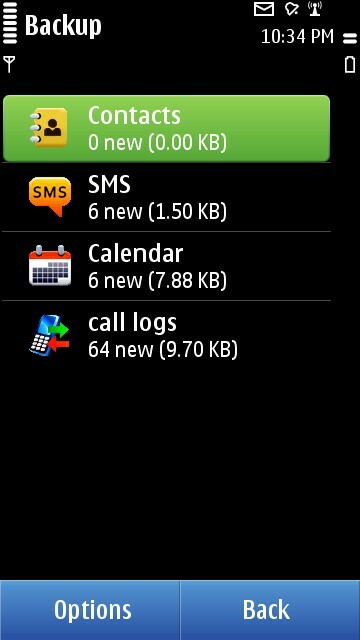 I hope Nokia N8 gets listed among them too. 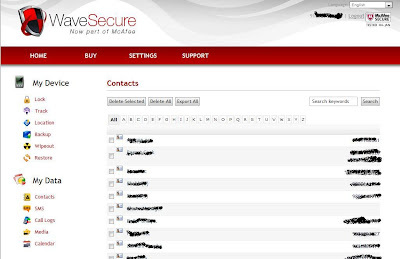 However, at the moment you need to shell out 20$ for an year license of WaveSecure. You can activate the application for a trial of 7 days on your phone. The price of the application is too small for a device like Nokia N8, moreover, when it is backed by the famous Antivirus company McAfee.